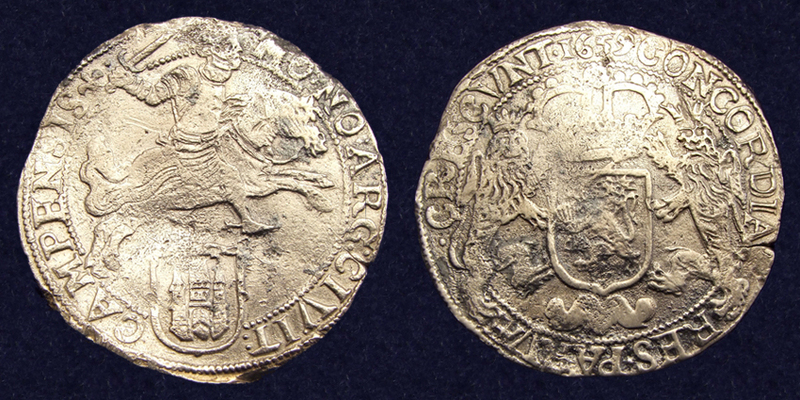 VOC shipwrecks from the 16th, 17th and 18th century have yielded some fascinating coins and artefacts. 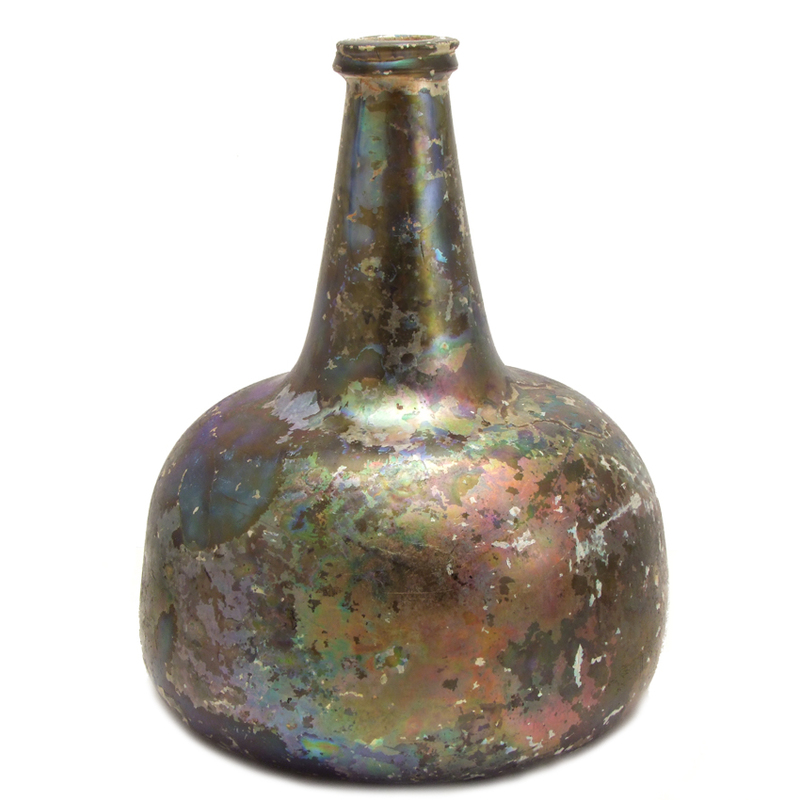 Not only the discovery of chests filled with gold and silver coins have sparked our interest, but also more ordinary objects as clay pipes, wine bottles or porcelain destined for the European market. Even after several hundred years they have fascinating stories to tell. Chests with silver coins that reveal at least some of the shipping crew of 't Vliegend Hert was engaged in smuggling activities, or the discovery of coins that were previously unknown until the 'Zuytdorp' shipwreck was discovered. Here below we are showing some of these fascinating pieces of history, some are still available for purchase on our website. 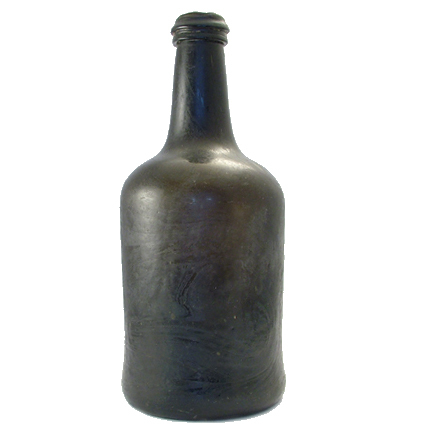 A 17th century wine bottle (onion bottle), typically used on board of a VOC-ship and a port bottle, retrieved in the water near Barbados. The Akerendam was a ship of the Dutch East India Company (VOC), built in 1724. On 19 January 1725, the Akerendam left in convoy with two other ships, heading for Batavia with a crew of 200 people and 19 chests of gold and silver on board. On 8 March 1725 the Akerendam drifted in a snow storm and sank near the cliffs of Runde island (Norwegian west coast). Despite the fact that the ship was wrecked close to the shore there were no survivors. 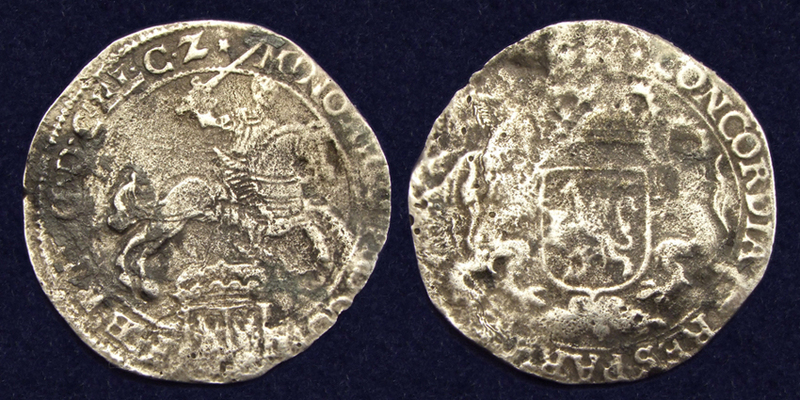 The Norwegian share of the Runde treasure was divided between the University of Oslo’s Coin Cabinet and Bergen Maritime Museum. In January 2011, some of the coins from the Maritime Museum were transported back to the island for an exhibition at Runde Miljøsenter. 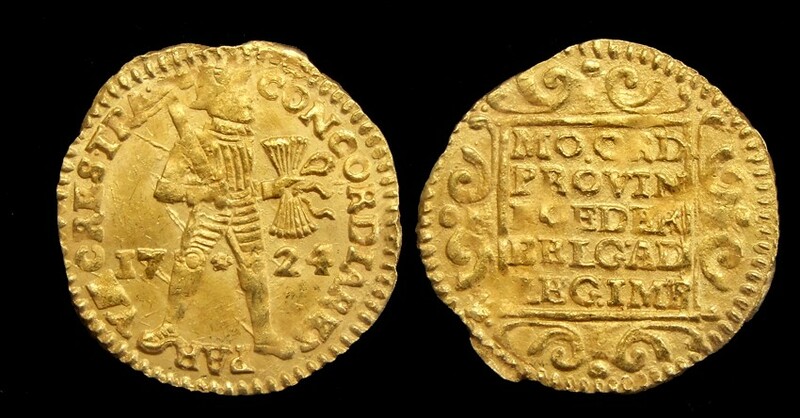 The divers' portion of 75% of the treasure was auctioned in Switzerland in 1978. 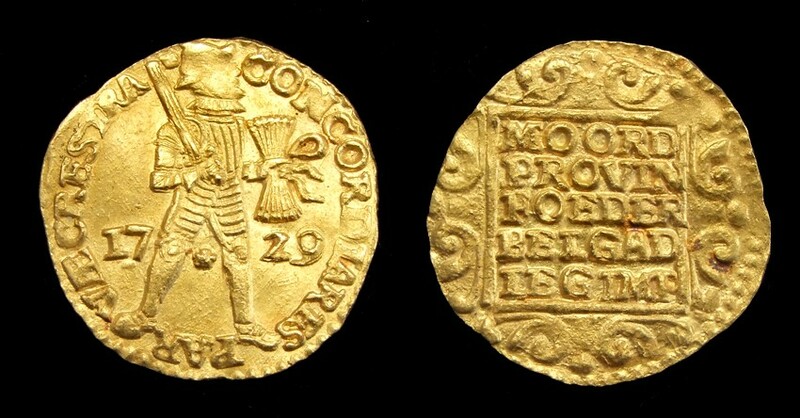 View a gold ducat from the Akerendam, on NumisAntica. In 1998, fishermen discovered a shipwreck off the coast of the Ca Mau Peninsula (a southern province of Vietnam). The excavation yielded more than 130.000 artifacts, mostly porcelain destined for the European markets. After Vietnamese museums selected pieces for their collection the remaining 76.000 ceramics were sold at auction in Amsterdam in 2007. It is believed that the Chinese junk was travelling from Kuanzhou (Canton) towards the Dutch trading port of Batavia (Jakarta) and sunk because of an intense fire on board. The fire was fierce enough to fuse some of the ceramics together. 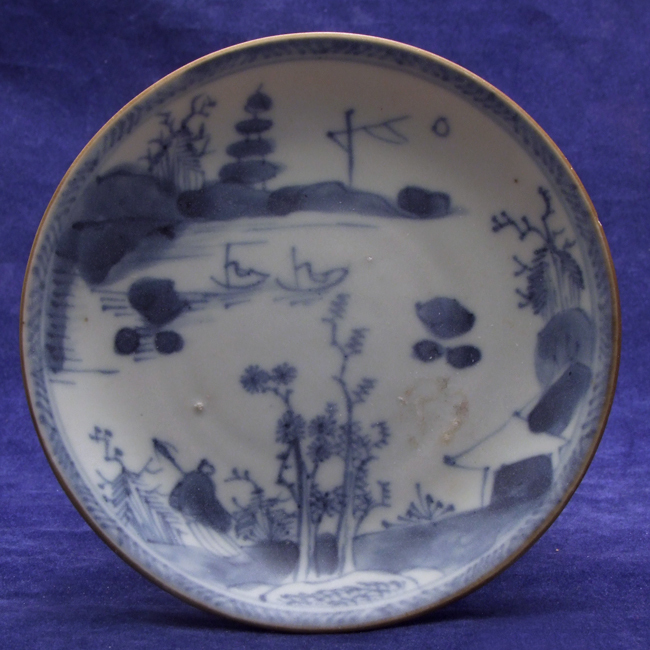 All of the porcelain was made at Jingdezhen, the main centre of Chinese porcelain making, and could be dated to circa 1725; the first years of the reign of Emperor Yongzheng (1723-1735). 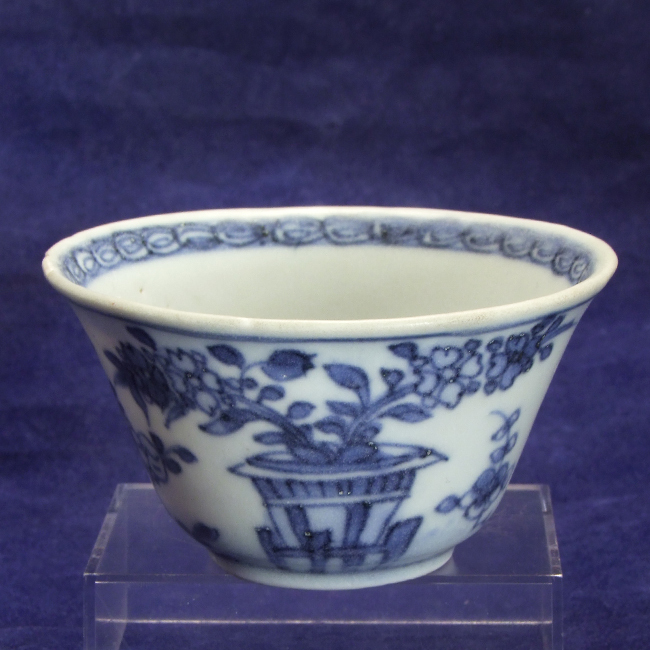 In the mid 15th century a trading vessel, carrying a substantial cargo of high quality Vietnamese Ming porcelain vanished without a trace. In the early 1990's, local fishermen discovered the wreck lying 22 miles off the coast of central Vietnam. It wasn't until 1996 that a four-year project was started, recovering over 250.000 pieces of Vietnamese ceramics. After Vietnamese museums selected pieces for their collection, the remaining part was sold at auction in 2000 by Butterfields in San Francisco. The fascinating story of the ship wreck and its recovery has been made into a best-selling novel 'Dragon Sea: A True Tale of Treasure, Archeology, and Greed off the Coast of Vietnam' written by Frank Pope. 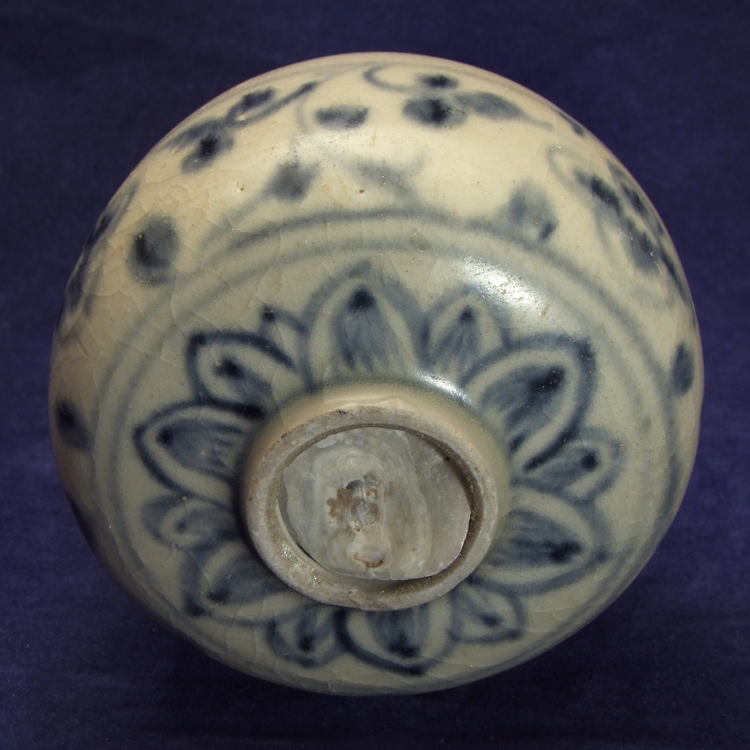 Porcelain water dropper, recovered from the 'Hoi An hoard'. A sea shell has grown inside the water dropper and can no longer pass through the opening. The merchants ship 'de Liefde' (the Love) belonged to the Dutch East Indies Company VOC (Vereenigde Oostindische Compagnie) and was built in Amsterdam in 1698. 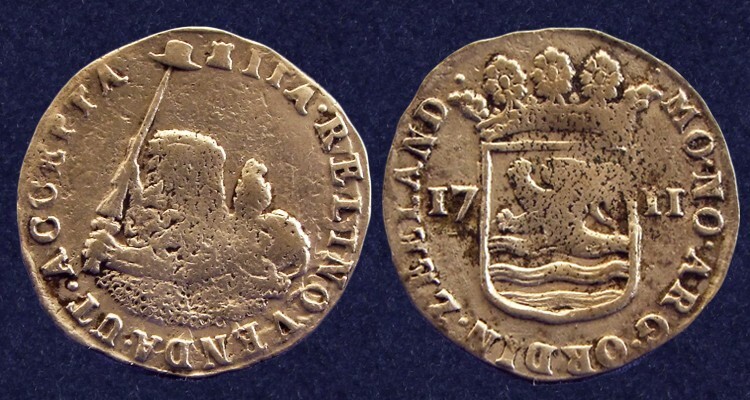 'De Liefde' was lost in November 1711, close to the Shetland Islands with a cargo containing gold and silver coins with a total value of 227.000 guilders. Of the 300 passengers only one survived. A first attempt was made to salvage the cargo in 1712. 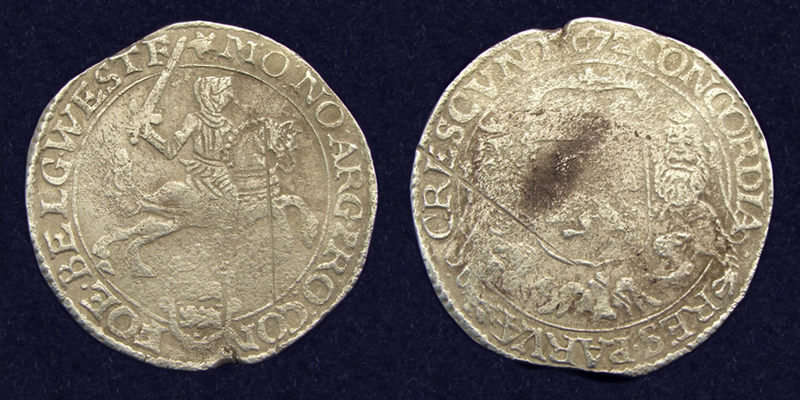 In 1965 the wreck was rediscovered and many objects, gold and silver coins have been retrieved, along with the ships' bell with the VOC mark and year 1700. This ducaton was retrieved from the Meeresteijn shipwreck which sank off the Cape of Good Hope, South Africa on the 3rd of April 1702 (Saldanha Bay, Jutten Island). The Meerestein broke apart during the night, only 99 passengers survived. A total of 16 chests of coins were on board. The wreck was rediscovered and salvaged in the early 1970's. The Meeresteijn was part of the fleet of the VOC (Dutch East India Company). This merchant ship belonged to the Dutch East Indies Company (VOC) and was first launched in 1730. Just starting her on her second journey to the East Indies on February 3rd 1735, 't Vliegend Hart was driven onto a sandbar during a gale and was lost with all men on board. In 1981 the location of the wreck was rediscovered and the treasure was painstakingly salvaged. Many artifacts, including wine bottles, bullets and an intact coffer with 2000 gold ducats and 5000 silver reales were retrieved. 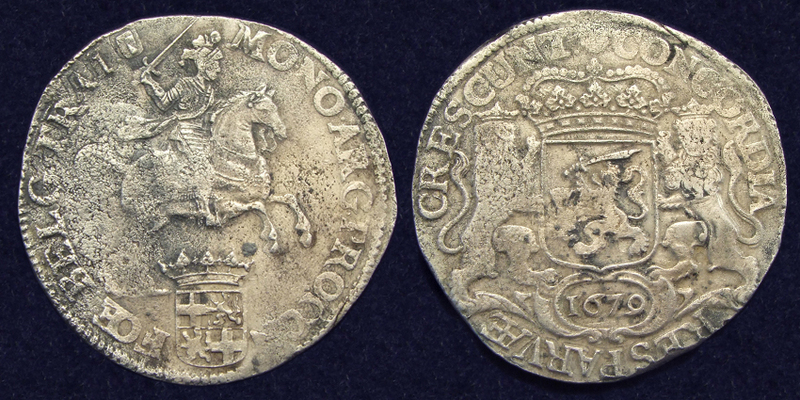 In 1991 a second chest filled with gold ducats and Spanish reales was discovered, as well as several cases of silver ducatons. As these ducatons (riders) were not listed on the official cargo document it is likely they were smuggled on board by members of the crew to be sold for higher prices in the East Indies. The Zuytdorp was built in Middelburg for the VOC chamber of Zeeland (Dutch East India Company) in 1701. 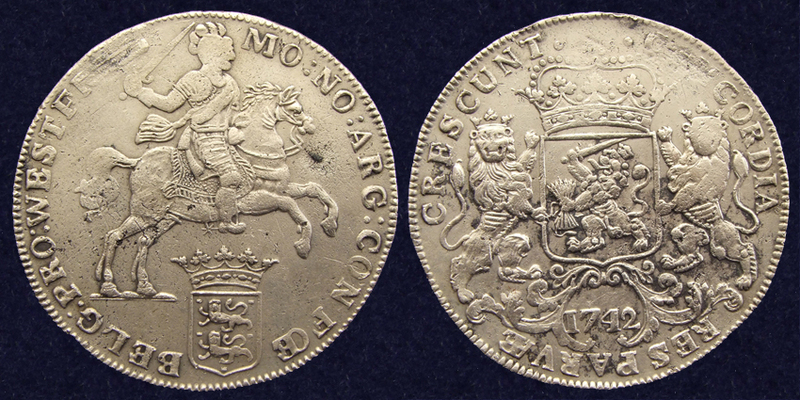 In 1711 she was on a voyage to Batavia (Indonesia) with a load of freshly minted coins (2-stuivers and 6-stuivers, dated 1711), but never arrived at its destination. The wreck was discovered in 1927 on the Western Australian coast, between Kalbarri and Shark Bay.It is generally believed that all 6-stuivers from Zeeland, issued in 1711 were lost in the VOC shipwreck 'the Zuytdorp'.